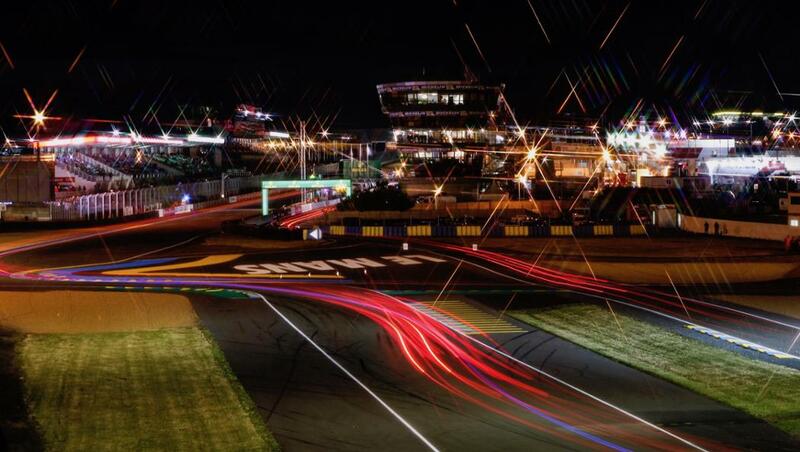 The Le Mans 24 Hour race is perhaps the ultimate test in endurance and efficiency for cars. It is the oldest active sports car race, held annually since 1923. Porsche holds the record of overall wins but that is not the only interesting fact that binds the German super car and the prestigious race. Boasting a system output of around 900 PS (662 kW), the 919 Hybrid is Porsche's entry for this year's race and the target is to make it three-in-a-row after winning in 2015 and 2016. Discover what the Porsche 919 Hybrid has in common concerning the power supply of a small village, at what time did Mark Webber complete his first-ever lap in an LMP1 car and when Porsche celebrated its first hybrid race car success. The initial roll-out of the first 919 was done by Porsche works driver Timo Bernhard on June 12in 2013 at the Weissach test track. A little over two years later, he became world endurance champion with the further developed Le Mans prototype. Hollywood stars entered Le Mans with Porsche. Steve McQueen's attempt made it in to the cinema in 1971, Paul Newman came overall second in 1979 while Patrick Dempsey also climbed the 2015 podium, finishing second in the GTE-AM class. people were on board at the end of 2011 when Porsche, under the guidance of Fritz Enzinger, began to prepare for the LMP return. Since 2015 the team's head count is 260 with 160 of them being engineers. minutes before the 919's maiden race, at Silverstone in 2014, Team Principal Andreas Seidl spun his tension into a funny quote: "That's one small step for mankind, but one giant leap for Porsche – we've got two LMP1 cars on the grid!" was the time in complete darkness on December 9 in 2013 when Mark Webber started his first ever lap at the wheel of an LMP1 car on a circuit he had never driven on. This Portimão test was a turning point: The 919 Hybrid's initial V4 engine had caused heavy vibrations. By December, the problem was solved. consecutive laps Romain Dumas as well as Neel Jani were at the wheel of the winning car at night during the 2016 Le Mans. Due to safety car periods, Dumas' stint was exaggerated to the longest stint of all the Porsche LMP drivers. It lasted from 00:13 hrs until 03:38 hrs. That's almost the duration of two Formula 1 Grands Prix. Around 60 per cent of the 919 Hybrid's recovered energy comes from the front brakes, around 40 per cent is provided by the exhaust system. people form the Porsche LMP Team's operational crew at a six-hour race. 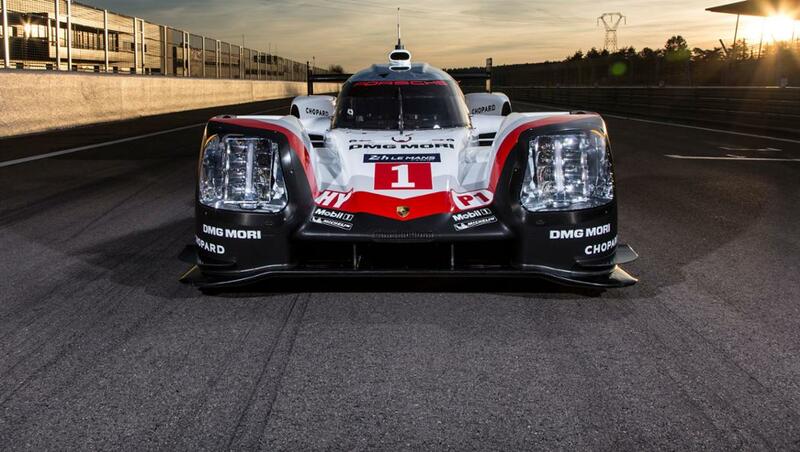 At the Le Mans 24-Hours this number is 90.
degree is the cylinder angle of the 919 Hybrid's V4 combustion engine. But its operating mode is one of a steep standing "boxer" engine. At the 2015 final WEC round in Bahrain, both throttle barrel levers broke on the Timo Bernhard/Brendon Hartley/Mark Webber car. The fact that the three drivers still reached the chequered flag and became world champions was thanks to a mechanic's clever idea and quick thinking engineers: mechanics had locked the barrels on full throttle – by putting two pliers into the engine, fixed with cable straps – while engineers were busy programming in real time to keep the car running. On November 30 2014, Mark Webber was on lap 239 at the season's finale in São Paulo when he suffered the worst crash of his entire career. 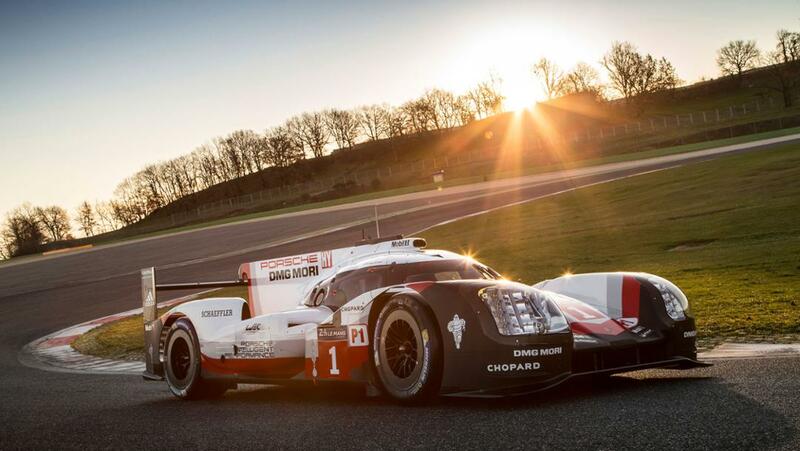 HP is the output of the 919's turbo charged petrol engine that drives the rear axle. was the year when Ferdinand Porsche created the first car with a serial hybrid drive. Its name "Semper Vivus" translates to "always alive". Two wheel hub electric engines (20 ampere at 90 volt each) and a battery were constantly serving two combustion engines by a dynamo. At the 1901 Semmering hill climb race, an improved version of the Lohner Porsche prototype comfortably achieved the best time of an electric car. Afterwards a small series of two-seater electric compact cars were built. shifts (up and down shifting) of the winning Porsche 919 Hybrid's gearbox during the 2016 Le Mans 24-Hours. kilowatt hours of electrical energy have been recuperated by Porsche 919 Hybrids during a total mileage of 321,000 kilometres (testing and race weekends) from their two energy recovery systems (brake energy from the front axle and exhaust energy). If the 919 was a "power station", this energy would have been the capacity to power a village of 15 houses, each occupied by four people, for an entire year. kilometres had been clocked up by the identical specification of the Porsche 919 Hybrid's water pump with no issue when it suddenly failed at 23:13 hrs in 2016 at Le Mans. At 01:56 hrs, Bernhard/Hartley/Webber returned to the race now 39 laps behind the leaders.